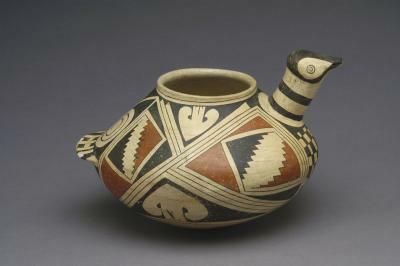 This colorful duck-shaped pot from the Casas Grandes area of Mexico includes numerous depictions of the macaw bird. This duck-shaped vessel is similar to other duck-shaped pots Native Americans made during the PreContact period and represents the importance of water in the dry Southwest. 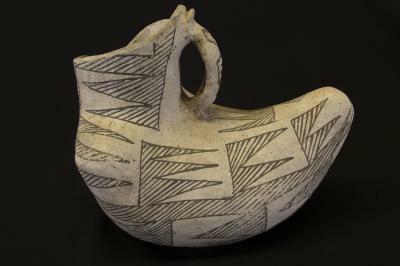 This vessel is from the Rio Puerco area of eastern Arizona and dates 980 to 1150 A.D.